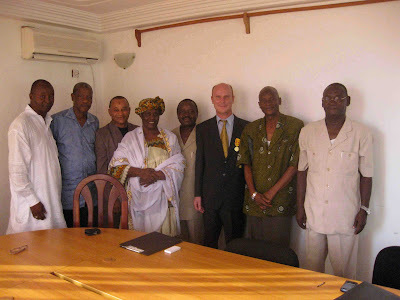 Audio archivist Graeme Cousel was recently awarded Guinee's highest honour, the Palme Académique en Or, for his tireless work on the Syliphone Archive. Do yourself a favour and read the full story here. Graeme has been behind the recent Sterns' compilations Authenticite, Bembeya Jazz National, Balla et ses Balladins and the forthcoming Keletigui et ses Tambourinis. Matthew LaVoie over at the VoA African Music blog recently run a story on the early days of recording in Guinee with some excellent samples of work by Bembeya Jazz amongst others. In South Africa similar work has been done by a number of individuals and institutions to protect the musical heritage. The most famous of these is the International Library of African Music (ILAM) based in Grahamstown which was founded by Hugh Tracey (1903-1977) in 1954 at the apex of 25 years of field recording and research into African music. In Durban David Marks holds an impressive archive of mostly live recordings of concerts and performances made during the late sixties, seventies and eighties. You can read all about his Hidden Years Archive here. At the oldest record company in South Africa Rob Allingham runs the Gallo Archives which he uses to reissue classic material fromthe sixties, seventies and eighties. 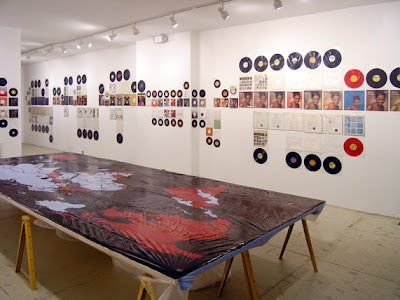 On the web there are some interesting sites such as this one proving some interesting facts on South Africa's vinyl history. But so much is missing from this mozaic. I spoke at length to fellow collector Siemon Allen about his Makeba project and other ideas that contribute to protecting a heritage that slips a little further away each day. I am very happy to say that Siemon has dug deep into his collection and provided a small insight into some of the varied styles and genres that make up this heritage. Most of this material has never been reissued in any form previously. So a big thank you to Siemon for sharing. Thanks for introducing us to to this project. I've only encountered a small fraction of these artists before and it is an awesome reminder of how much great music there is to explore and research. In keeping this legacy alive, it really is a case of so much music, so little time . . . Links are not working. I'd be ever so grateful if they can be restored, thanks. is the letta track here by letta mbulu?